The frame saw with very good technical parameters is produced (by us) for all sawmills. The internal frame of the frame saw made of forged steel is strong enough to withstand the loads of a large number of saw blades. The inner frame jaws are guided by flat and prismatic guides. Remote control makes it easier and faster for the operator to work. 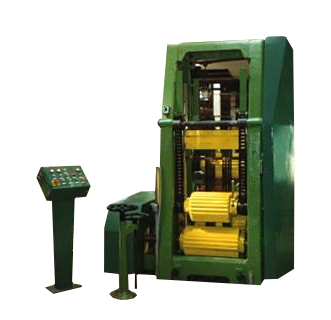 Thorough construction of the machine with suitably positioned covers ensures safe and trouble-free operation.